Happy Thursday Everybody! Are y’all ready for the weekend? I’m so excited because I’m headed to Dallas today for the Reward Style Conference (aka #RStheCon)! Well, hopefully I’m headed there. I’m currently sitting in the airport and my flight has been delayed THREE times now so it looks like I’ll be getting in late. I’m so excited to get there though and learn more about the business of blogging (I wrote a post where you can read more about the conference and how I started blogging here). I’m taking full advantage of my travel day to wear some comfy/stretchy clothes before the weekend of Spanx and Stilettos begins haha. 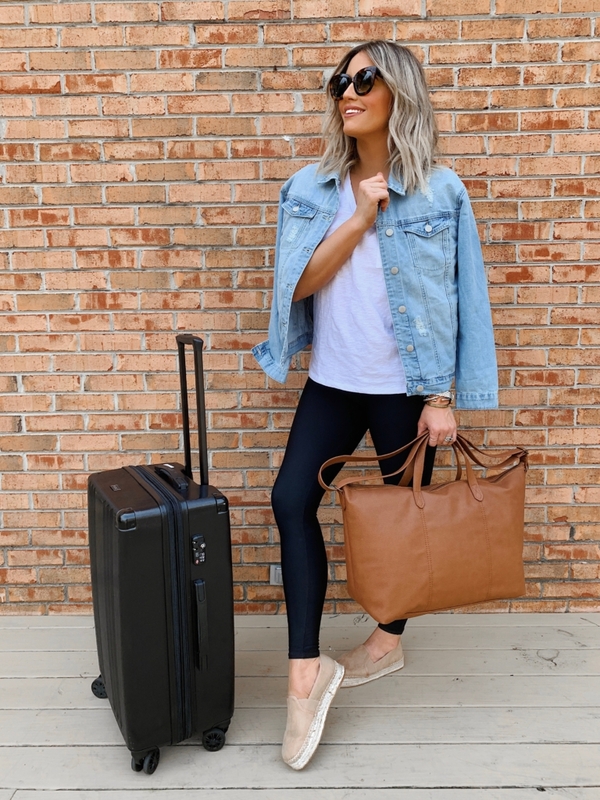 Everything in today’s travel look is from Walmart’s new Spring Fashion collections! You guys know I have been finding the cutest shoes at Walmart lately and this blush pair is my latest discovery. How cute are these for Spring and Summer?! I also grabbed these sandals (only $7) for our trip to Italy next week! 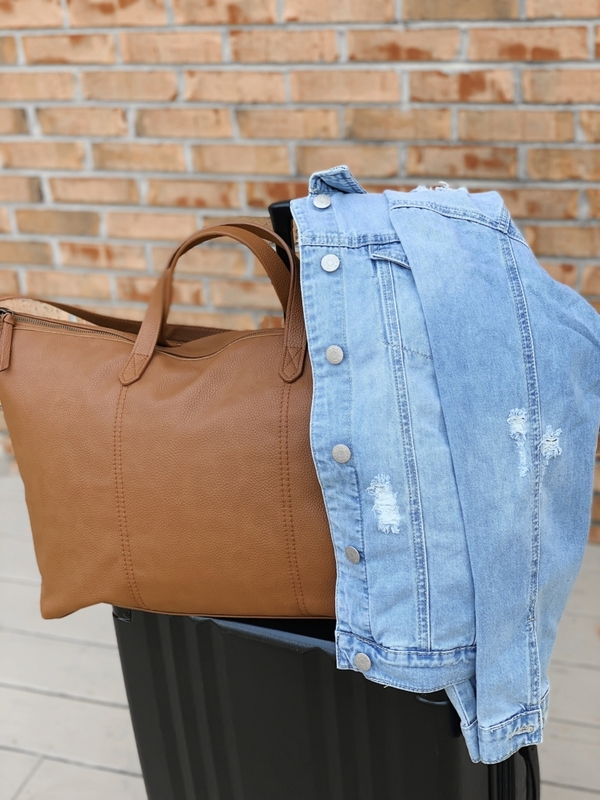 This duffle bag comes in three colors and is less than $25! I love this brown shade and the inside has the cutest striped fabric. I think it’s so perfect for Summer travel. 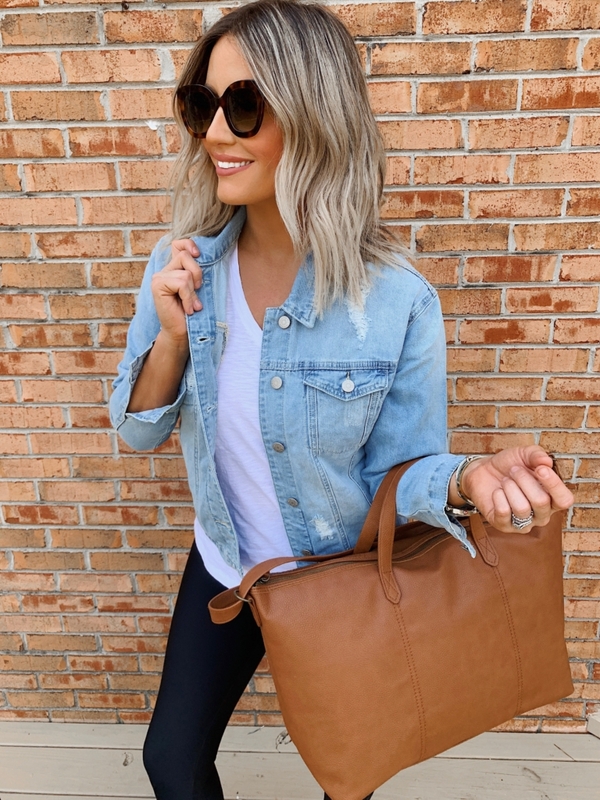 Not only does Walmart have a ton of affordable options for Spring Fashion, they also offer free 2-day shipping when you spend $35! #score You can check out more of Walmart’s Spring Fashion Pieces here. A huge thank you to Walmart for sponsoring today’s post! As always, all thoughts and options are all my own.